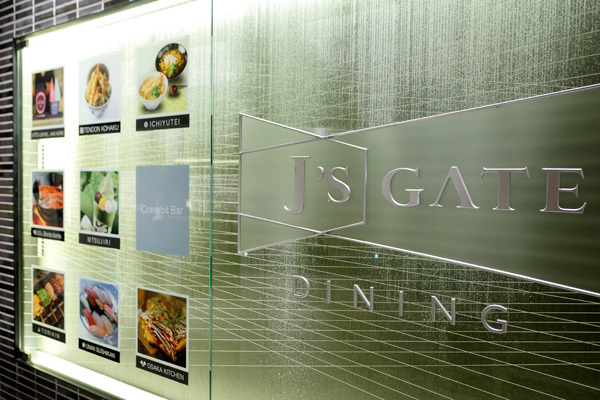 Make a beeline to the new social hotspot in Kuala Lumpur right in the heart of Bukit Bintang! Lot 10 is inviting one and all to meet.play.#lovelot10 at the mall in the first of a new series of events – #Lot10wanderlust this weekend. The iconic green cornerstone landmark of the famous shopping street, newly reimagined as a dynamic and inclusive space imbued with fun and creative youthful exuberance, is now a true social destination for locals and tourists to shop, dine or simply chill out. Celebrating local entrepreneurship and tying in with Pasar Sari, the first-ever Open Forum kicks off with the #GirlBoss Talks session on 13 April at 5.15pm. Five influential women entrepreneurs give their take on starting out and thriving in the fashion and beauty industry, featuring Aina Syahirah, Co-Founder of Kulet; Jenn Low, Founder of Wanderlust & Co; Didie Nasir, Co-Founder of Dida Cosmetics and Founder of Dynda Designs; Tengku Jamidah, Co-Founder of Dida Cosmetics and Founder of THAVIA the label, as well as fashion stylist Haida Yusof. Open Forum will return with more weekend sessions featuring other creative minds in the months ahead. Coming up in August is a session featuring purveyors of the trending coffee culture. The Lot 10 Rooftop comes alive on the evening of this Friday the 13th with the first-ever session of Lot 10’s rooftop cinema under the stars – Cinema Paradiso, featuring a free screening of Korean movie “The Battleship Island” starring Hwang Jung-min, So Ji-sub and Song Joong-Ki, playing on 13 and 14 April at 8pm. Upcoming screenings of more movies have been scheduled on Saturdays – 28 April, 12 and 26 May, with more to be announced later. 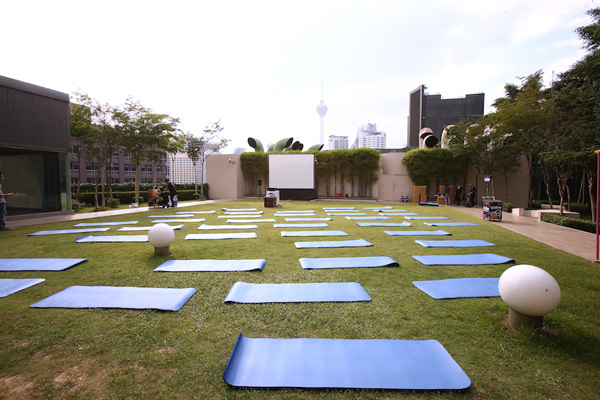 The outdoor movie screening, held in partnership with iflix, BenQ, Sennheiser and Strongbow, is targeted to energise the rooftop in the evenings while exercise sessions like yoga under the sky are also planned for weekend mornings in the future. For fans of e-gaming, Lot 10’s newest e-gaming tenant The Geek Arena will stage quarterly charity e-sports matches, such as Street Fighter, FIFA, PUBG, Rainbow6siege, League of Legends and more. The inaugural match will be held on 14 April at 2.30pm at Level 3 featuring a duel between the KL Hunters and Geek Fam. Not to be missed for all e-gamers. 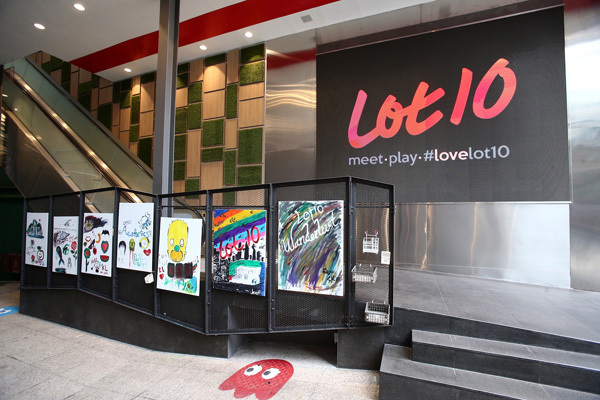 Lot 10 is synonymous with busking in Bukit Bintang on the weekends. During #lot10wanderlust, music and busking performances at the main entrance next to the Lot 10 mascot Lottie and the new side entrance facing the MRT exit are stepped up from noon to 9pm with performers on piano, saxophone, guitar, cello and other instruments. A new addition to encourage free musical expression is Lot 10’s very own Open Piano, a first-ever in a Malaysian mall, where the public is encouraged to showcase their own musical talents on the keyboard at any time of the day. Look out for the beautifully-painted public piano at the main entrance this weekend before it moves into the mall soon. To embrace the digitalisation of experiences, Lot 10 encourages visitor experiences to be shared real-time on social media platforms. Numerous new Instagram Spots dot the mall across the floors from the rooftop swing to colourful Insta-worthy walls with angel wings and pink telephones. 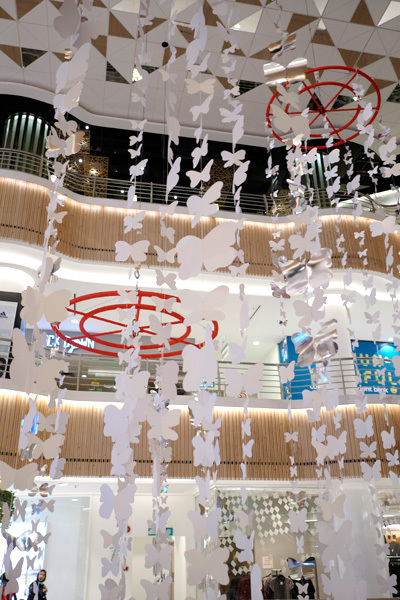 New Play Walls have also been created to encourage shoppers to have some fun while shopping. You can have fun with hand-shadowplay, personalising messages on chalk walls or even discovering hidden quotes in the fire escape stairwell. Temporary pop-up and changing art installations will surprise visitors, keeping the Lot 10 experience fresh and engaging on social media all year round. To keep all shoppers connected, WiFi is free throughout the mall and the Lot 10 Cheerleaders Squad is always on hand with their tablets to help visitors with everything – from directions and sharing the latest promotions to taking photos for shoppers. 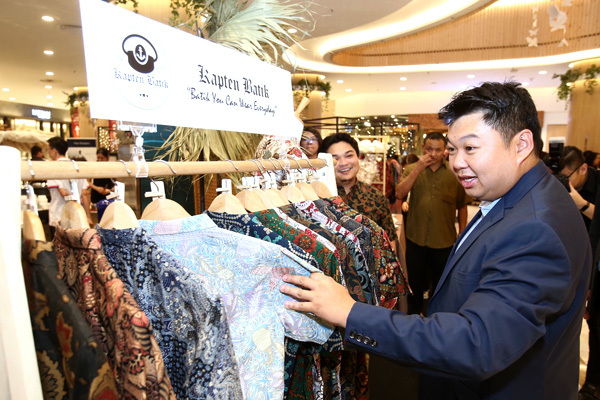 A big push for the arts through the “Art in the City” programme is happening at Lot 10 through its collaboration with Cendana, the Cultural Economy Development Agency, to bring local artists and their creations to the heart of Bukit Bintang. Artworks will be displayed on the new LED screens at the new side entrance façade, while art installations, exhibitions, workshops, art trail tours and more will also be hosted in the mall for the rest of the year. Pop art and artistic expression by the public are also celebrated at Lot 10. On 13 and 14 April, catch artists painting Pop Art works live at Lot 10’s main entrance near Lottie. The public can also unleash their inner artist during the Art Jam sessions on the weekends, with canvases set up for them at Lot 10’s new side entrance. Do look out for the little artistic touches such as creatively-painted manhole covers in the side alley. Apart from that, Lot 10 has also partnered with SOCAR, a car-sharing platform that allows you to book a car which suits your needs by the hour, day or week, all through a mobile application on your phone. A fleet of their cars will be available right here at Lot 10 for members of the public to use. That’s not all! 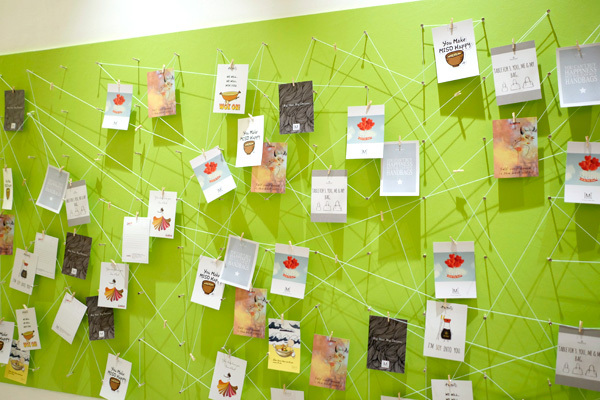 There’s always something new to inspire you to meet.play.#lovelot10! For more information on the exciting activities, check out the events listings on Lot 10’s Facebook page at www.facebook.com/pg/Lot10KL/events. Follow more fun on Lot 10’s Instagram account at www.instagram.com/lot10klofficial.